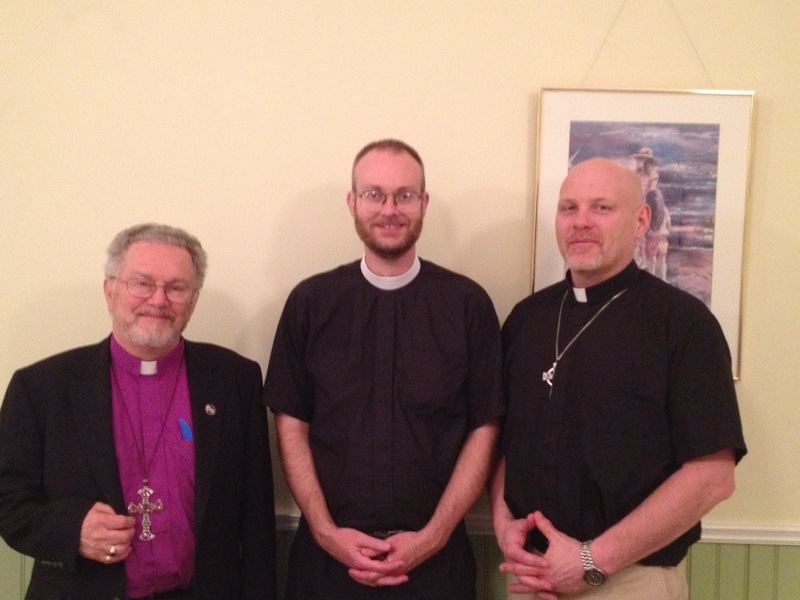 Last week, we enjoyed a visit from Canon Bill Jerdan (REC Board of Foreign Missions) and Bp. Peter Manto, the rector of Trinity Church, our home parish in Mason, OH. They arrived around 12:00 on Saturday, but we had trouble getting to the airport in time to pick them up: an accident on he Pan-Philippine Highway had caused traffic to stop about half a kilometer from the airport entrance. Out came Sora’s iPhone, and we ducked across two lanes of traffic into a subdivision full of tiny one-lane streets arranged in a veritable labyrinth. I wish we had taken video of it: we had to fold in our mirrors to get past a few awkwardly parked vehicles, and at one point, a suprising dead end (construction) forced us to back up for two blocks and retrace our steps. But we did emerge, and past the accident. This put us at the airport nearly half an hour past the time when we should have been there to pick up Bp. Manto and Canon Jerdan, but fortunately they had only recently emerged from customs and immigration, and had not been waiting long. It was a short order, since we had planned a service of Holy Communion for our family and friends on Tuesday night. This would give only two and a half working days. On Sunday, Bp. Manto and Canon Jerdan accompanied us to United Covenant Reformed Church of Davao, where they met Pastor Vic Bernales, Elders Allan Ostique and Ojie Bicaldo, and the rest of our friends from church. 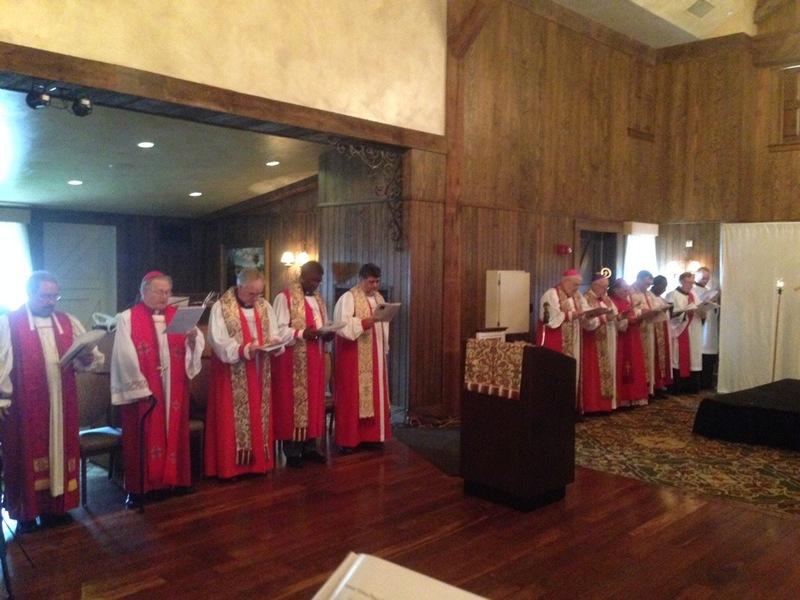 This was a meeting I was very glad to see, for I have always considered Anglicanism a way of being Protestant. (The Church of England historically has simply received, not reordained, continental Reformed ministers; and even such high churchmen as Laud and Cosin instructed Englishmen sojourning on the continent to partake of the Lord’s Supper in the Reformed churches, not at the Roman altars; and of course, the Church of England sent a delegation to the Synod of Dort.) I have been quite blessed by the ministry of Pastor Vic, and I could wish that Anglican churches had more cooperation with Reformed churches. On Monday, Bp. Peter and Canon Bill toured the birth clinic. Clinic director Matt McNeil gave them a tour and explained the workings of the clinic and its vision for training missionary midwives. Sora happened to be supervising a birth room shift that morning. I had left my car at a carwash, so we took two pedicabs to Victoria Plaza. At noon, we headed to Faith Academy so Bp. Manto and Cn. Jerdan could see the campus and watch me teach my classes. Head of School Alan Farlin gave them a tour. The following day, Tuesday, we received a visit from Abp. 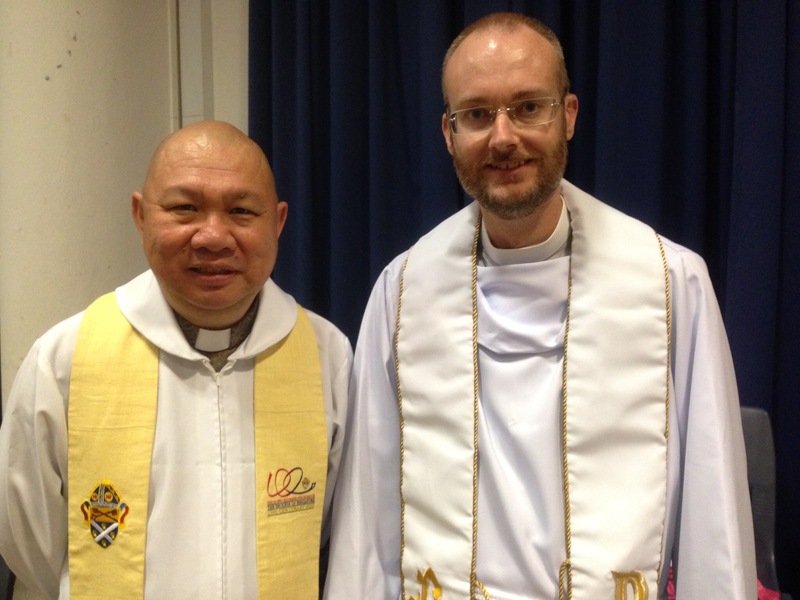 Frederick Luis Belmonte of the Anglican Church in the Philippines (Traditional). It was a very cordial visit. We discussed our respective ministries, prayed together, and exchanged presents — Canon Jerdan gave a presentation edition of the Reformed Episcopal Book of Common Prayer to the Archbishop, while he presented us with new stoles, which we wore later that day. We then headed to Faith Academy again to worship God. All my Greek students showed up, along with the Bernales family and Elder Ojie and Jenette Camporedondo from our UCRC family. With help from Pr. Vic’s son Yuri on the piano, the congregation sang out and got a fair taste of an Anglican service. It was a true joy to serve the common cup to so many who have blessed us with their friendship and have ministered to and with us over the last two years. Our family was especially blessed to have Bp. Manto, our pastor for ten years, here to celebrate Holy Communion with us. It felt like Trinity Church had been magically transported to Davao City for an evening. Thank you, Canon Jerdan and Bp. Manto, for taking the time to come visit our family. Your advice and sympathetic ears were very valuable, and your presence with us was a great encouragement to our whole family. In October, I spent 10 days visiting Indonesia and Singapore. 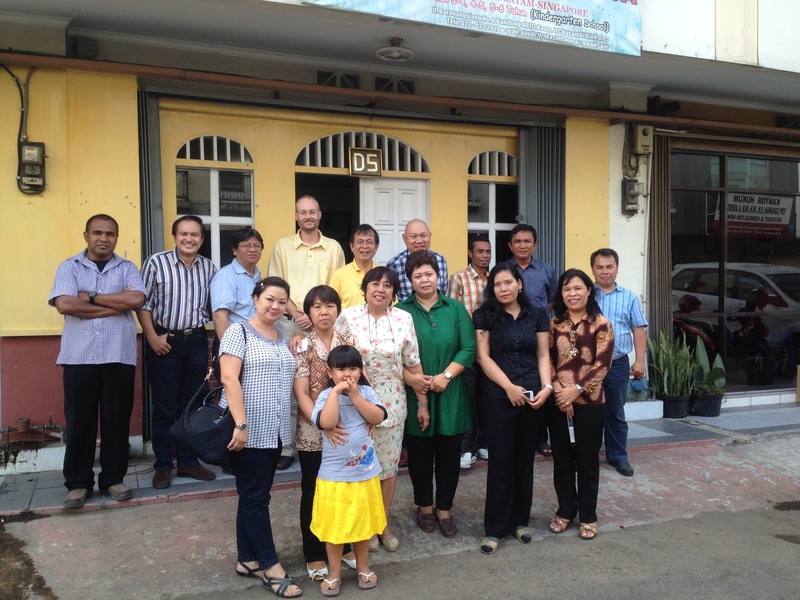 The purpose of that trip was to meet clergy in the diocese of Singapore, especially its deanery of Indonesia. Chief among these is the Rev. 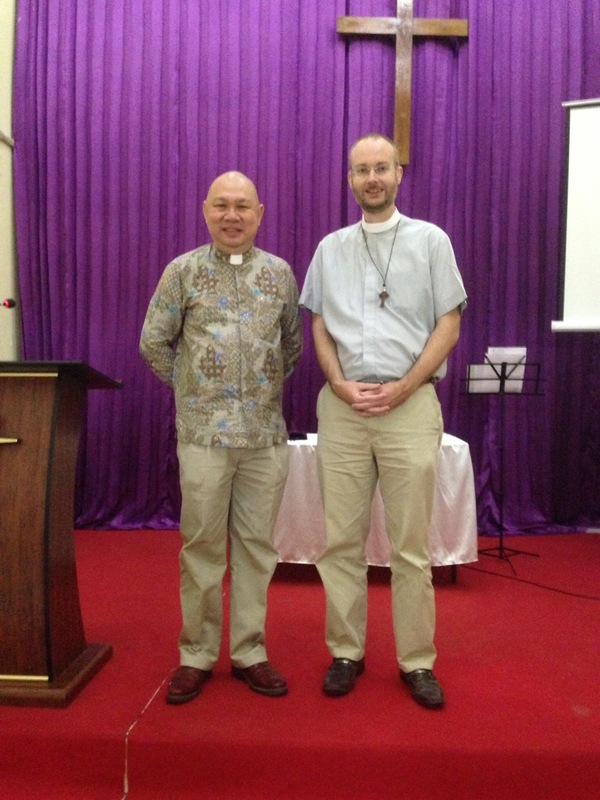 Dr. Timothy Chong, who is the dean of Indonesia, and has been tasked with setting up a seminary to train clergy there. My visit was a first step toward discerning whether the Lord may be calling our family to join in this work. 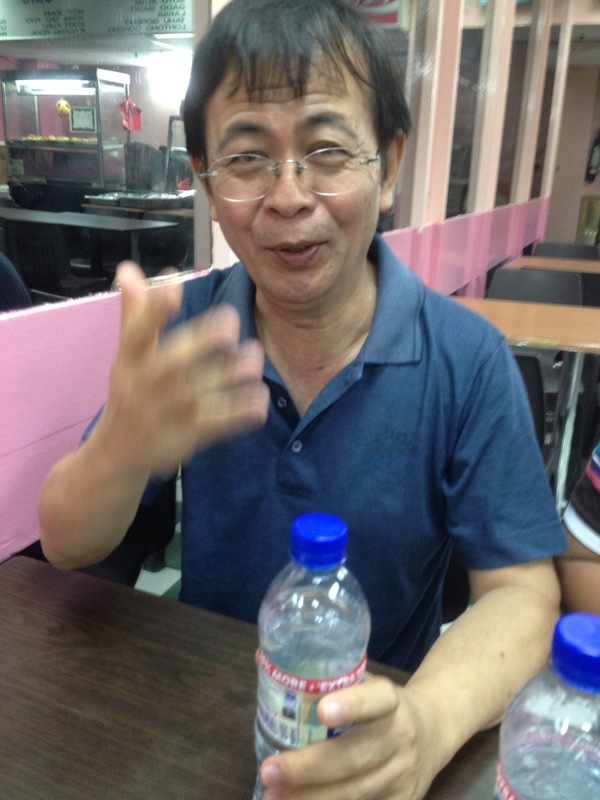 Dean Chong picked me up from the airport in Jakarta, put me up in hotels for nine nights, fed me royally in his own home and in restaurants, introduced me to his colleagues and parishioners, and showed me the greatest kindness and hospitality. It was a pleasure to talk with him, especially about the future of the Anglican church in Indonesia (Gereja Anglikan Indonesia, or GAI). 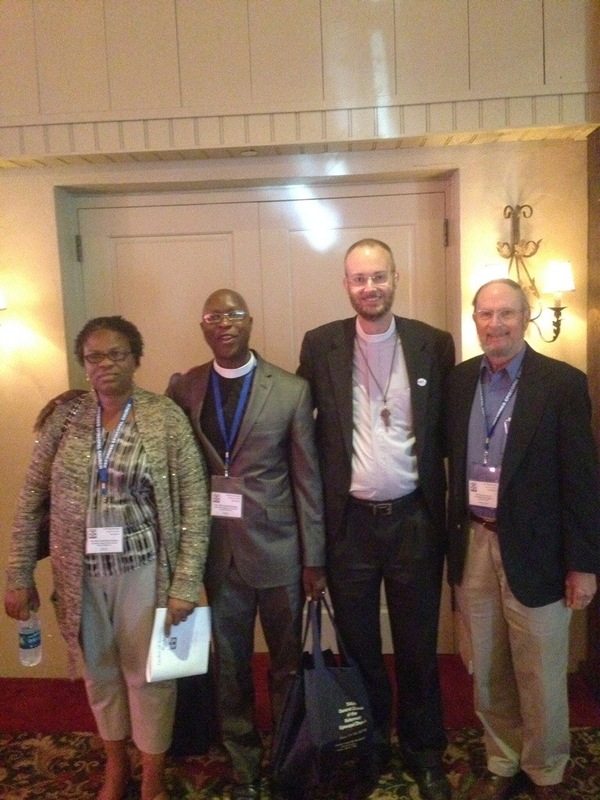 We shared our views of the goals and methods of seminary education. Teaching Greek and biblical studies is my passion as a missionary, and the work of equipping pastors in the GAI would be a very exciting and fulfilling calling. 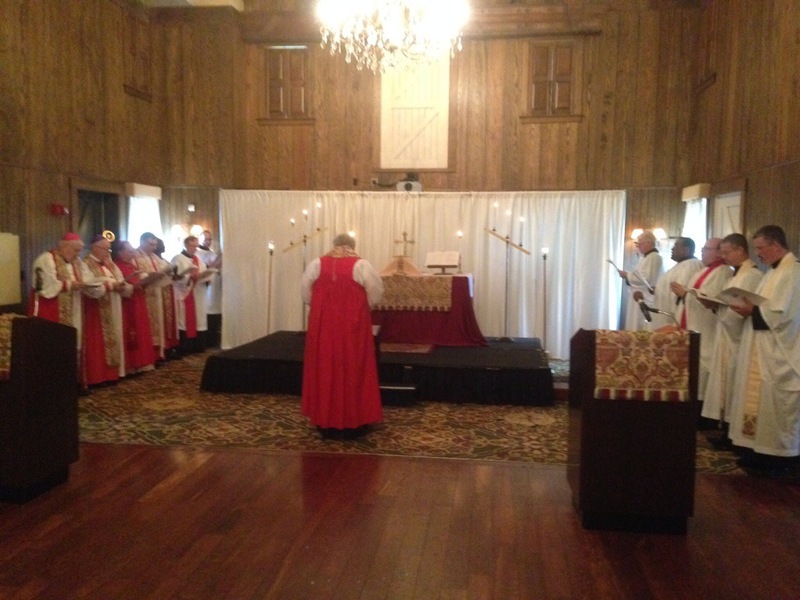 Being in Anglican circles meant dressing as an Anglican clergyman for a few days. (I do not generally wear clericals in the Philippines.) 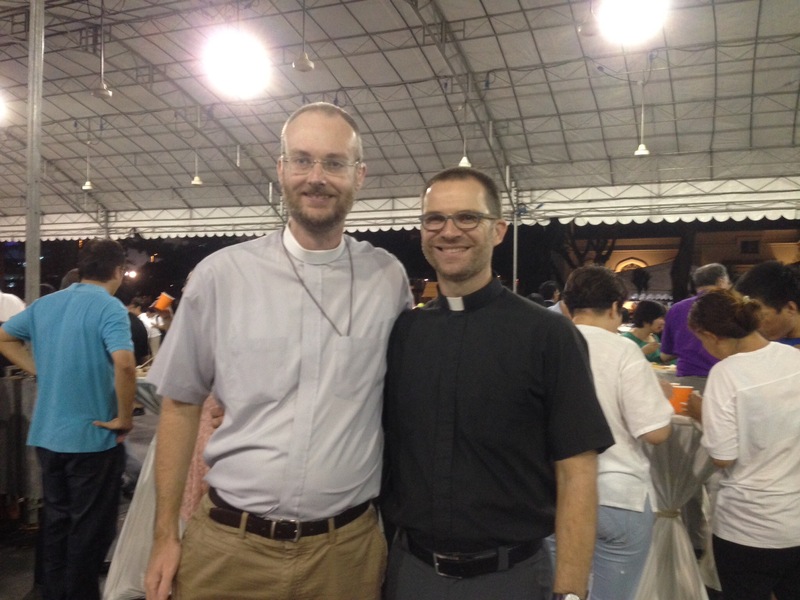 My fellow SAMS missionary, Gregory Whitaker, was the other American present at the consecration service in Singapore. I observed that he was the only priest wearing a black shirt, and I was the only one wearing a round collar. Dr. Chong took me to visit GAI churches in Jakarta and Bandung, plus a service of Holy Communion at a medium-security prison. The language barrier was a frustration, of course — I did not have a chance to acquire even the most basic Bahasa Indonesia before my visit — but a cheerful welcome and warm hospitality was the unfailing experience. (I’ll be sure to put some time into language study before my trip next June.) 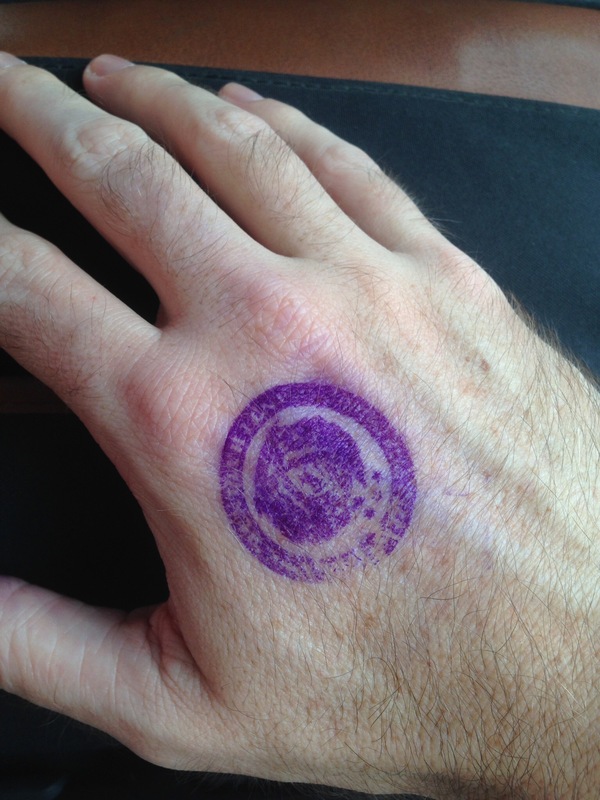 Here’s the bright purple hand-stamp we each received on entering. Mine stayed with me for five days! 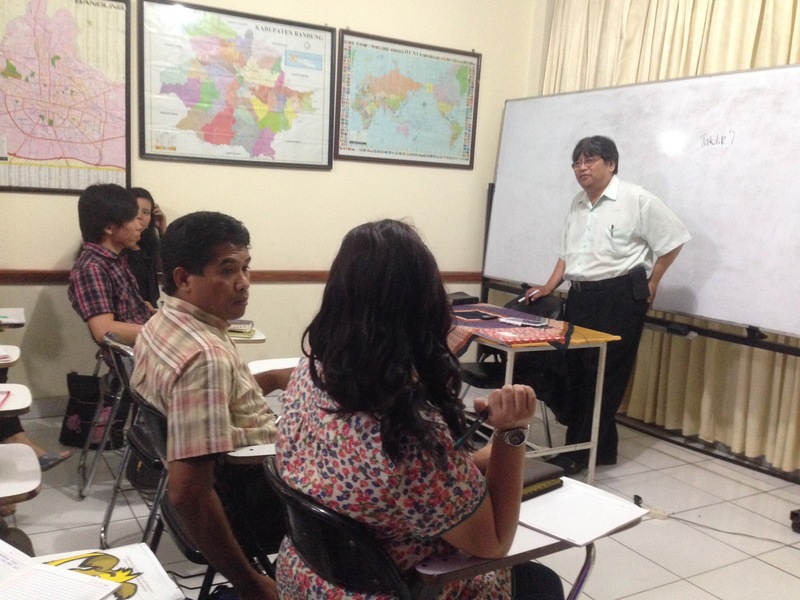 At St. Paul’s Bible College in Bandung, I sat in on an Old Testament class and saw some lively student interaction with Dr. Gideon Limandibrata. 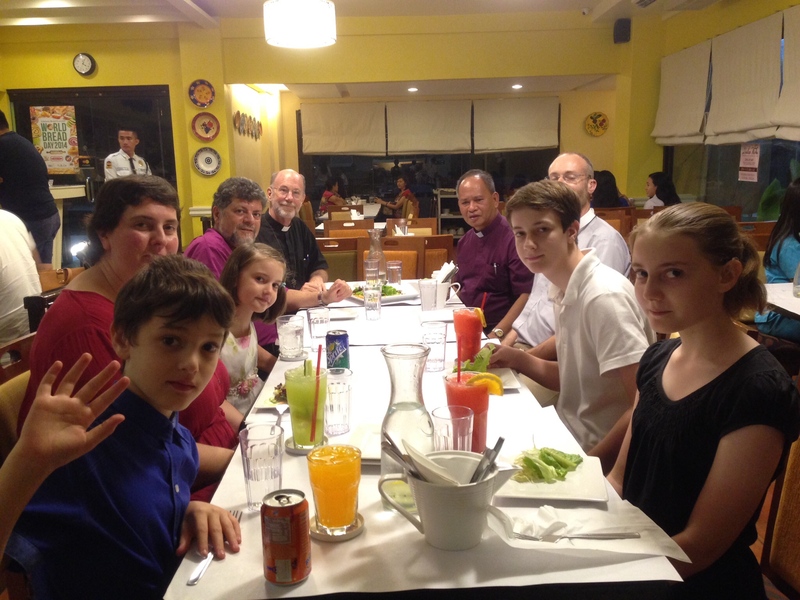 Hosting me for meals in Bandung and Singapore was the Rev. Yopie Buyung, also of St. Paul’s Bible College, who engaged me in a spirited discussion of whether we ought to see any Greek philosophy behind the Logos of John 1:1. 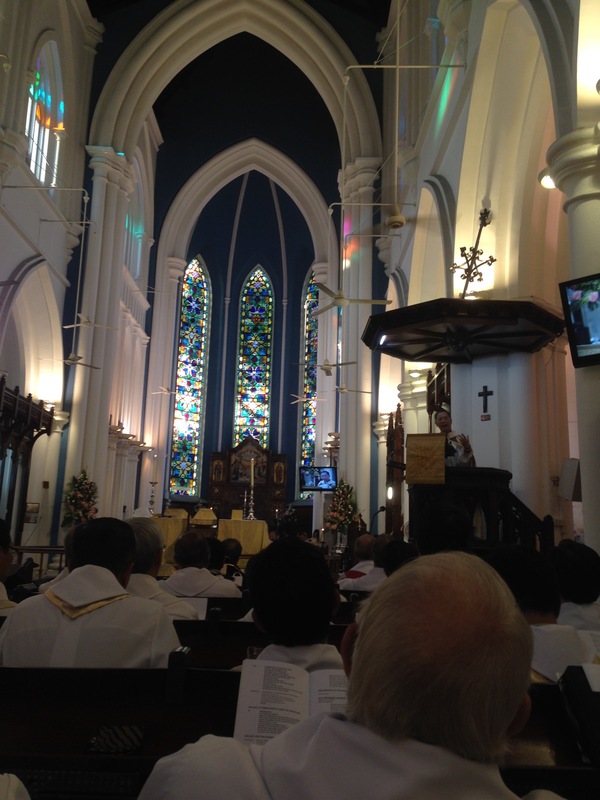 From Bandung, we went to Singapore for the consecration of two new assistant Bishops, the Rt. Rev. Kuan Kim Seng and the Rt. Rev. Low Jee King. 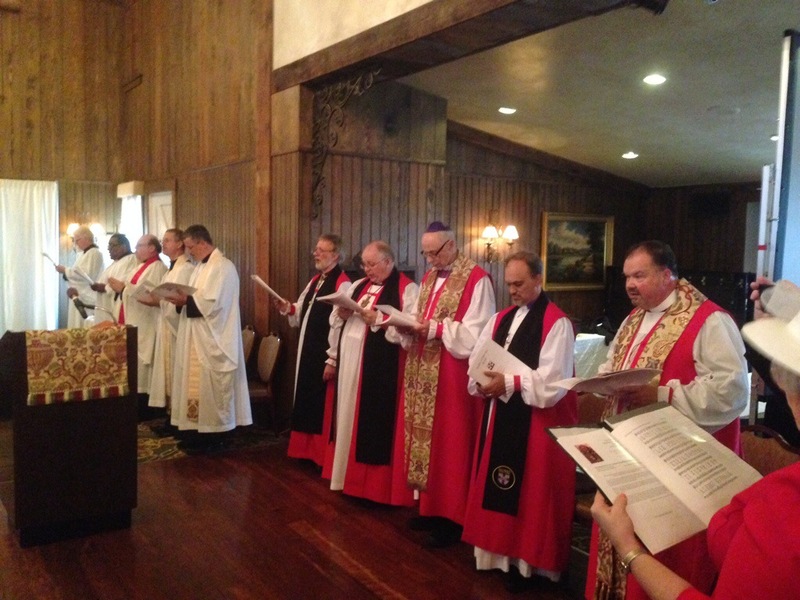 I vested and processed with the other clergy. St. Andrew’s Cathedral is a most impressive structure. I imagine it was one of the tallest structures in Singapore when it was first built. It now occupies a serene area in the middle of bustling skyscrapers. 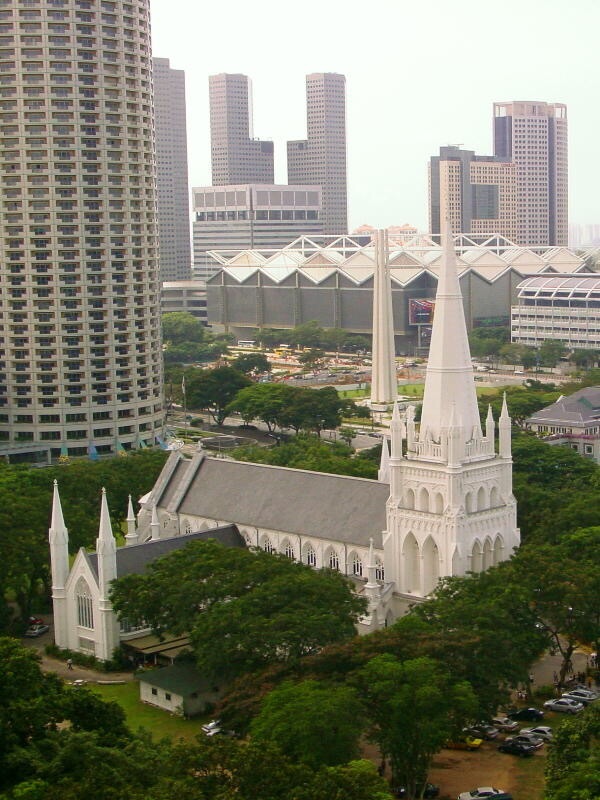 Please pray for the Diocese of Singapore and for the GAI, both for its present ministers and its future. 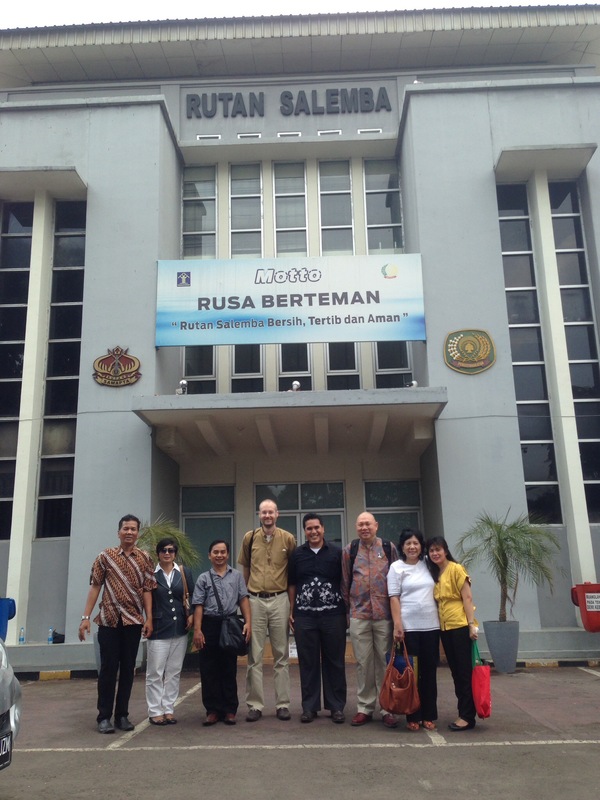 There is immense potential for the gospel to be proclaimed and embodied in Indonesia. Closing photo: the Prayer Book of the GAI, translated by a committee headed by Dean Timothy Chong. 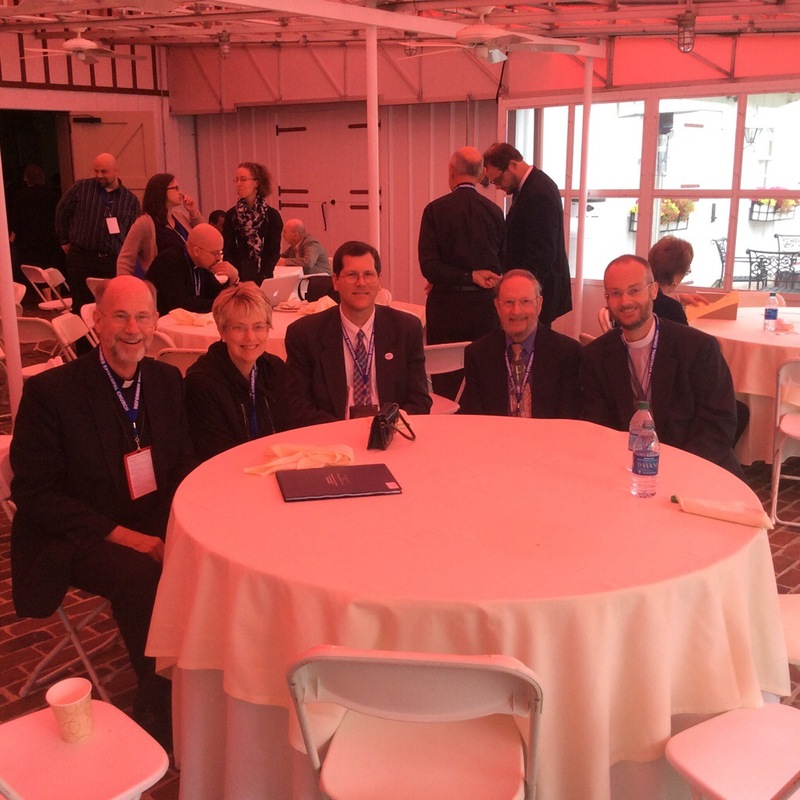 We were blessed to be interviewed by a fellow REC clergyman, Fr. Daniel Sparks of Good Shepherd Reformed Episcopal Church in Tyler, TX, for his “Shriven” podcast. You can listen to the two episodes online: Episode 8 and Episode 9. 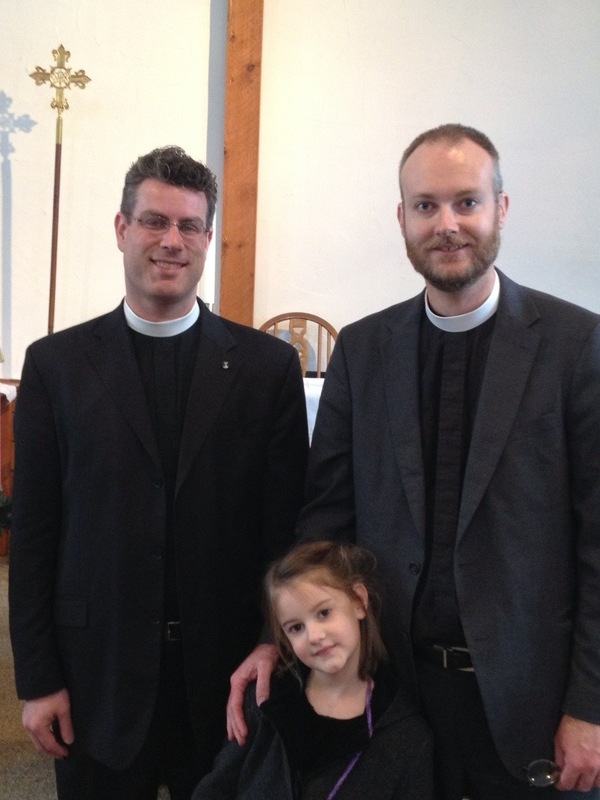 Our first stop was Holy Trinity in Colwood, BC, which is pastored by Bishop Dorrington. If anyone asks, “How is there a bishop for a diocese with two churches?”, the answer is that there are 18 other parishes in Cuba that are also under Bishop Dorrington’s missionary oversight. If you want encouragement and inspiration, read the story of how these Cuban churches came under the Bishop’s oversight, and how they are growing and thriving. It is a story full of God’s amazing providence and grace. That same week, on Thursday, we went across the Georgia Strait to Gibsons on the Sunshine Coast to visit Pastor Theo Hoekstra and his family. 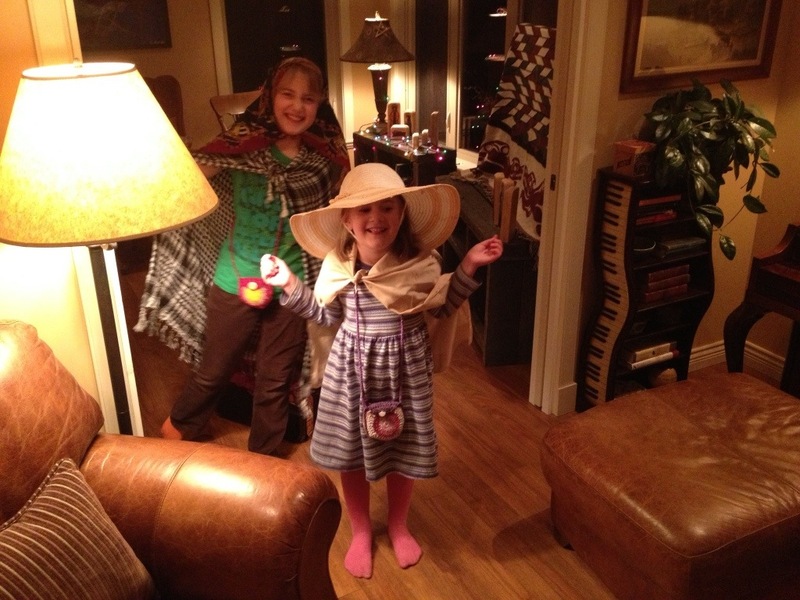 Their church, Grace Covenant (CREC) was a home for us during our year on Texada Island in 2006-2007. Because we were “sore let and hindered” by BC Ferries, which canceled all its sailings on Wednesday due to gale-force winds, Grace Covenant kindly moved its Bible study to Thursday night, and gave us the whole time to present. The next Sunday, we drove over the Malahat to Courtenay, BC, to visit Living Word REC, pastored by the Rev. Bill Klock, who is a scholar and a gentleman. I knew Fr. Bill from Facebook, but we had never met in person. He graciously let me use his pulpit (sermon in text and audio may be found here) and gave us time to present our missionary plans to the congregation. After the service Fr. Bill and his wife Veronica invited us over to their house and fed us a delicious lunch. Just three days now! It is rather amazing to us just how many churches God has managed to send us to visit. Deputation is almost over, and it has been a joy. Just one parish left, and then off we go!